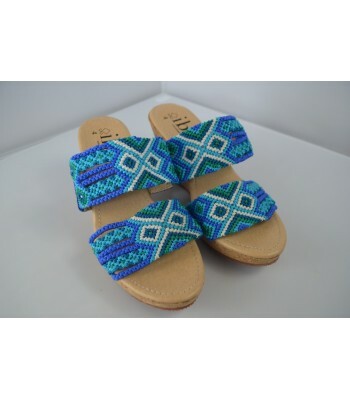 These sandals adjust to a high quality standard and are the perfect combination of handmade and trendiness, because they provide comfort due to the materials used, and beauty due to the embroidered motifs they have. 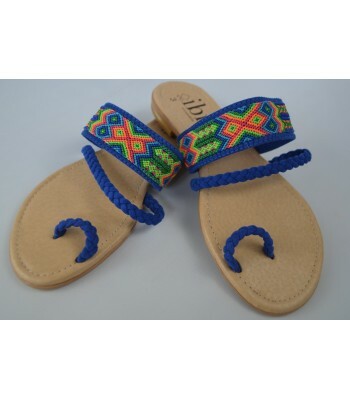 A colorful embroidery is carefully selected and then assigned to all models of sandals available. Our customer are amazed when they see them! 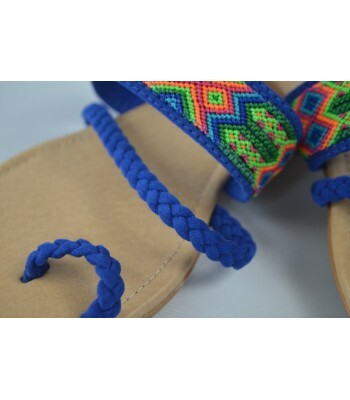 "Sandals made by women for women. 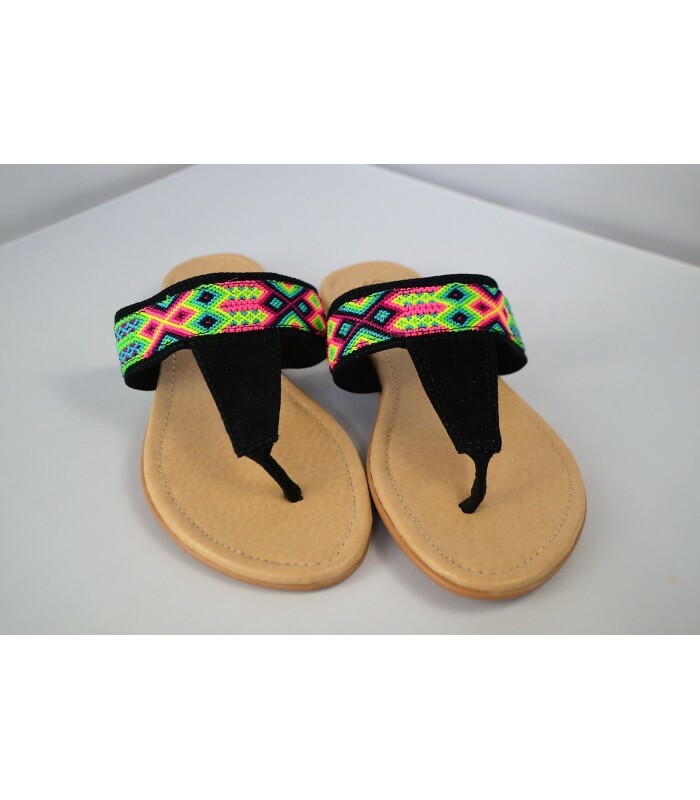 Arte sandalias are unique in any way". 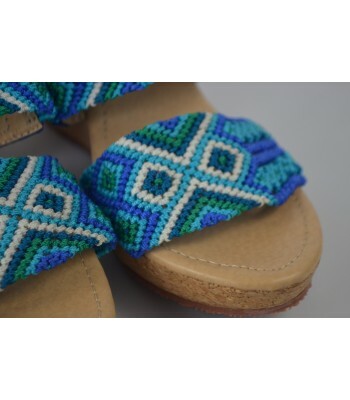 María flats in black with 1 multicolored medium stripe on the instep hand embroidered by artisans from San Juan Chamula, Chiapas, suede finish between the toes and synthetic sole with lining. Size 7.